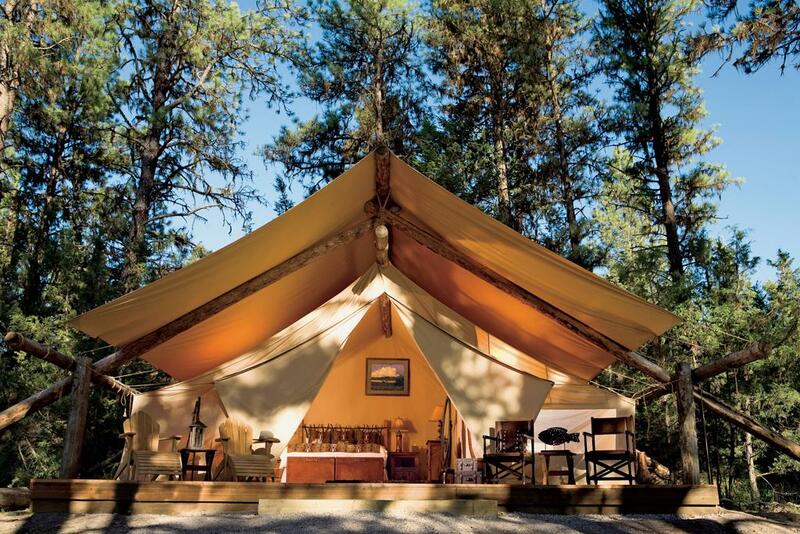 Jen Mitchell Travel client Peggy Pietraszek was recently quoted in an article "Lux Travel Trends: Glamping" on Barron's.com. "Peggy Pietraszek of Chicago and her 11-member family stayed in three tents last June, at Moonlight Camp. “We’ve done a lot of traveling and it’s the best vacation we ever had,” she says. Her five grandkids, ranging in age from 3 to 11, got to paint polka dots on horses. Butlers made for them s’mores from any candy imaginable. Clearly, this is one pampered summer camp experience – and perhaps not to everyone’s taste. But Pietraszek can’t speak more highly about her time at Paws Up. “The bathrooms with granite, heated floors and heated towel racks look like they were out of Architectural Digest,” she says. Besides, the surrounding natural scenery “alone is worth it. The night sky is filled with hundreds of stars, like someone has pasted them up there,” she says. Still on the fence? Here’s the deal closer: “While you are eating dinner, your butler has made sure that your electric blanket is already turned on,” says Pietraszek.